Most mums and dad's can sympathise when I say that I detest labelling school clothes! 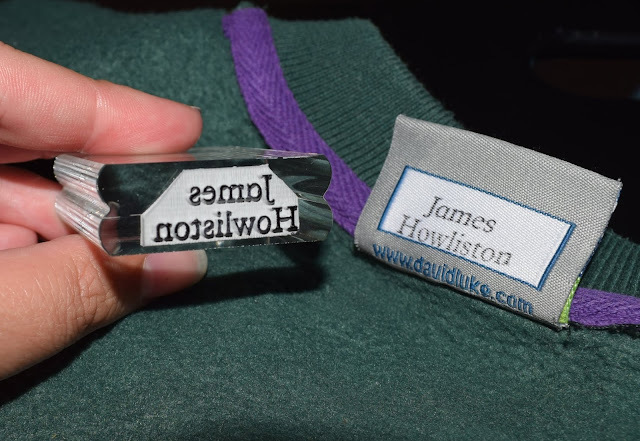 Its a job I always left until the last minute and then spent ages frantically making sure every item of clothing James would be wearing to school was labelled. It took me long enough when it was just James but this year Evelyn will be starting school too so that's double the uniform and double the labelling! But this year you won't find me spending hours labelling clothes because Stamptastic has my back. Making naming and labelling uniform quick, easy and simple with their personalised stamps and long lasting ink. 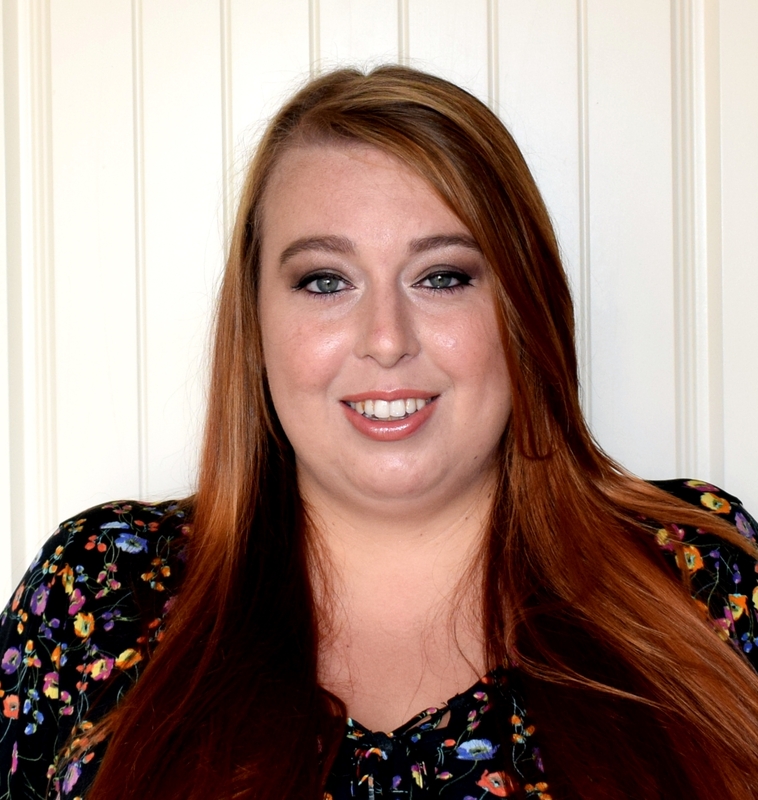 Francesca and Emma are the two busy mums behind Stamptastic and with 6 children between them they really know how us parents feel when it comes to labelling. They came up with the idea of Stamptastic after behind fed up of ironing or sewing on name labels and finding the time to do it which I know I can definitely sympathise with. 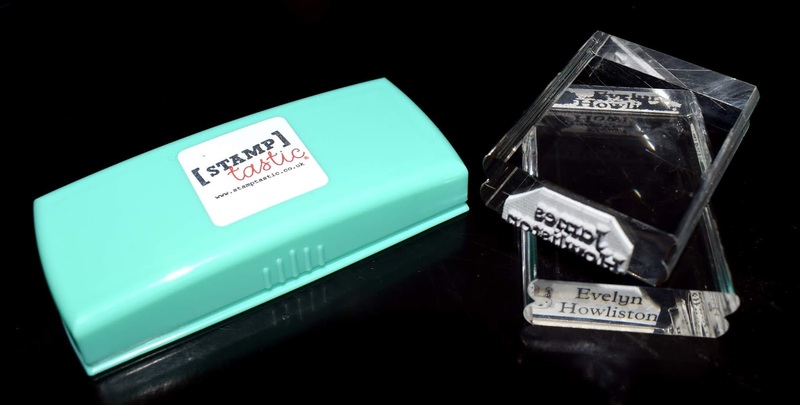 Ordering your name stamps from Stamptastic is really simple with a 3 step guide on the website which you follow to create your stamp. You can choose between having one or two lines on your stamp, I found that if you want your child's full name two lines work best so that you can still have a good size font. You can also choose between eight different fonts and even add a cute icon to your name stamp to personalise it and make it even easier for your child to recognise. 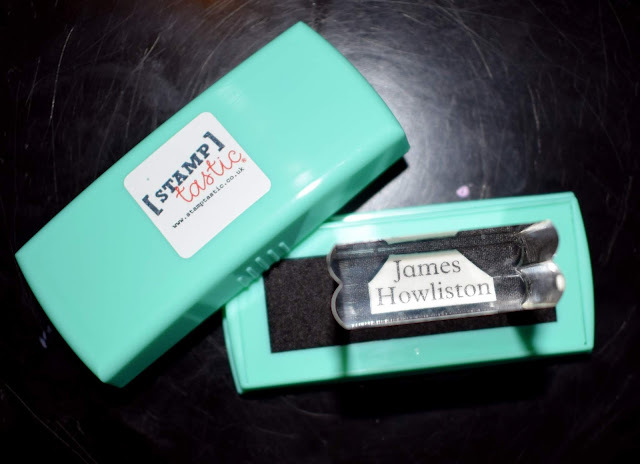 Making the stamps for James and Evelyn took me less than five minutes for both and delivery was super quick too with the stamps and ink pad arriving a few days later. 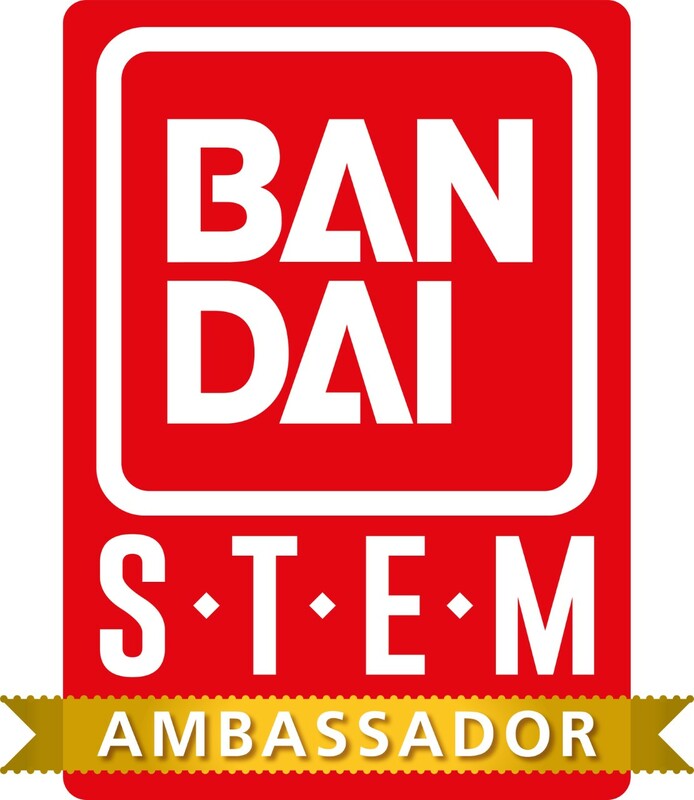 I imagine the website will get very busy though as we get closer to school starting so if you are thinking of ordering make sure you order with plenty of time for your stamp to arrive. 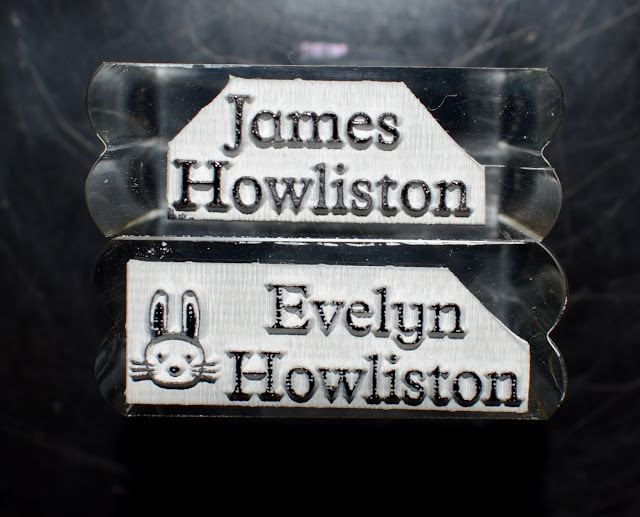 I chose a plain name stamp for James and Evelyn chose a very cute bunny rabbit to go on hers. Since she can't read yet I love that we had the option to add an icon as this will help her identify her belongings without needing to be able to read her name. Each stamp comes on a translucent block so that you can see how the stamp will look when using it. This means you won't end up with any back to front names on labels and you can make sure your stamp is lined up properly. If you have a small label or specific size label you are wanting your stamp to fit on Stamptastic enable you to print off a sample of your stamp print before you order, so you can make sure it will fit and looks right. Alongside your stamps it is recommend to purchase a Stamptastic ink pad. This handy ink pad comes in a sealed plastic bag and if stored correctly (placed back into the bag after each use) your ink pad can last up to two years! Priced at just £12 this ink pad provides at least 2000 impressions, now that's a lot of uniform labelling. The ink pad comes in black only and is the perfect size for the name stamps. Honestly after using this stamp I couldn't go back to using anything else now. It is so easy and simple to use and now that I have the name stamps I will only even need to purchase an ink pad once every two years. That's pretty impressive and with the name stamps costing just £10 each over the course of your child's time at school this gives a pretty good saving on name labels too. I was worried about the stamps washing out quickly or being blurry but that definitely is not the case. The stamps come out really clearly and I had a test run and washing the jumper above in all my washes over a few weeks, on different speed and temperature settings and it is still very visible and clear. Stamptastic recommend that each stamp print will last around 50 washes on a 40 degree wash (when used on a clothing care label). 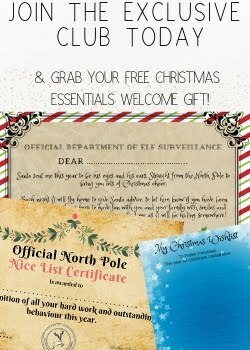 If you are going to be labelling anything for your child this year you really should check out Stamptastic. Their stamps can be used on everything from rulers and pencil cases to clothing, shoes and even swim hats! Do you dread labelling too?